Angels of Care is not only an advocate for the medically fragile pediatric community, we also support many programs and organizations that aid in making life better for those who need it. Last month, some of our representatives attended the Starfish Benefit for the Child & Family Guidance Center of Texoma in Sherman, TX. The Child & Family Guidance Center (CFGC) is a nonprofit agency that exists to strengthen, improve, and empower the lives of hurting Texoma children and families, through compassionate and restorative mental healthcare. CFGC envisions a future in which all people throughout Texoma, especially those who are low income, have immediate access to quality mental health care at the right time. Because of the generous financial support from the community partners, no uninsured client is refused treatment due to financial limitations. This organization offers programs and services such as individual, family and group therapy, family empowerment programs, parent education, Kids Hurt Too co-parenting education seminars, mental health training and much more. To support their programs, each year they host the Starfish Benefit at the Sherman Municipal Ballroom– a night of elegance, fellowship, dancing, live music and auctions. Upon entering the ballroom, it felt as if you had been transported to an underwater palace! The walls were draped in white, flowing linens while sheer blue and purple orbs were suspended from the ceiling. Small candles flickered at each table giving the ballroom an almost angelic ambiance. Despite the torrential downpour outside, hundreds showed up to enjoy the festivities and help raise money for this great organization. Many of Texoma’s local doctors, providers and medical professionals were also in attendance. This was a great way for AOC to stay connected to the community and show our support as a sponsor. 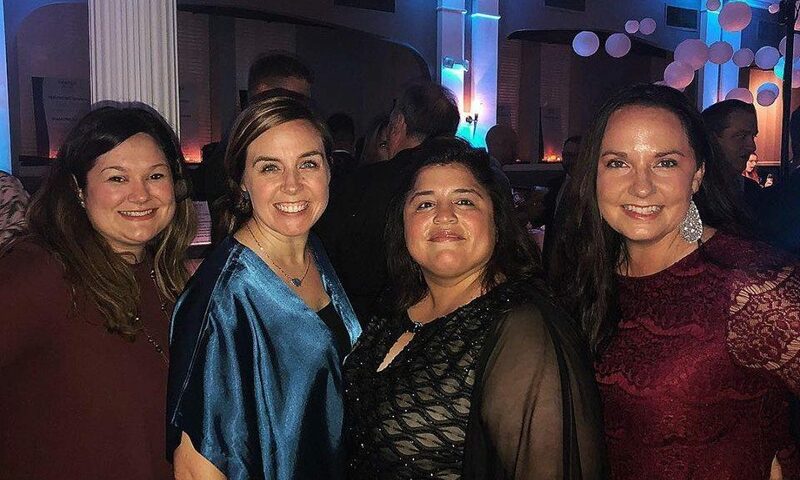 We would like to thank Sophia Reyna, Intake Supervisor, Maegen Powell, Executive Assistant to CCO, Kendra Sikes, Director of Recruiting and Staffing and Natalie Garrison, Social Media Manager for representing Angels of Care at this special event.